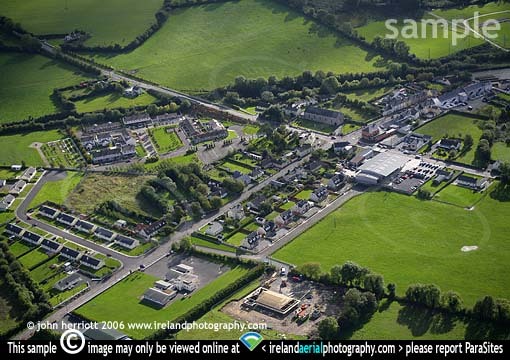 Aerial views of Ireland photographed; Banteer, a small town in North Cork and railway station. Banteer in North Cork is on the railway line connecting Kerry to Limerick Junction and all points beyond including Dublin, Waterford, Limerick. When travelling from Kerry the next station after Banteer is Mallow then change trains for Cork city.